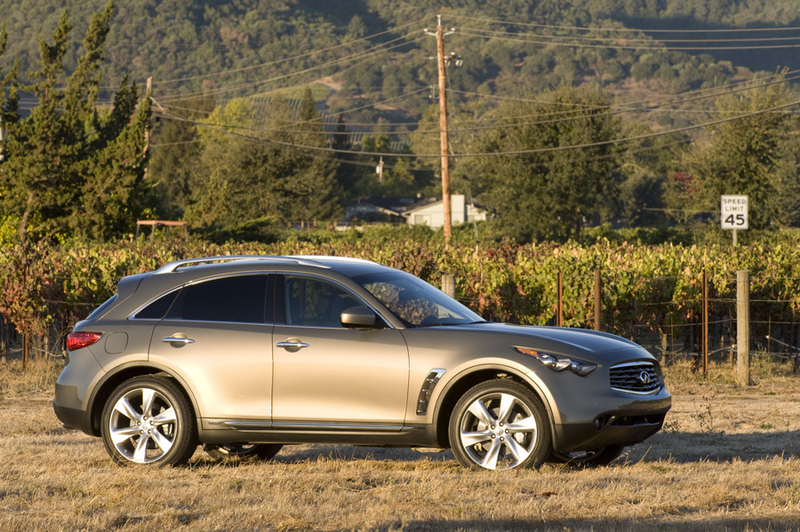 Now in its second generation, the FX is a unabashedly sporty SUV. 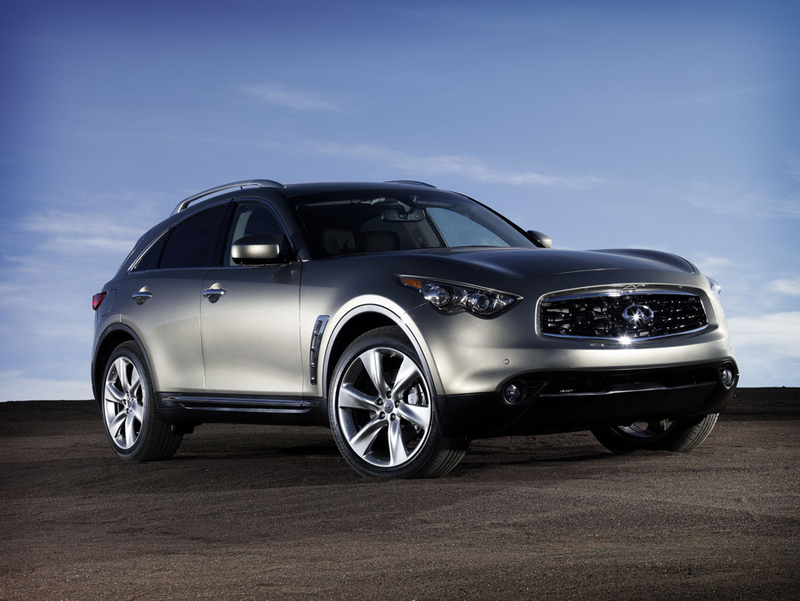 Attractive and luxurious inside and out, the FX manages to retain some of the sporty moves of its M and G sports-sedan stablemates. 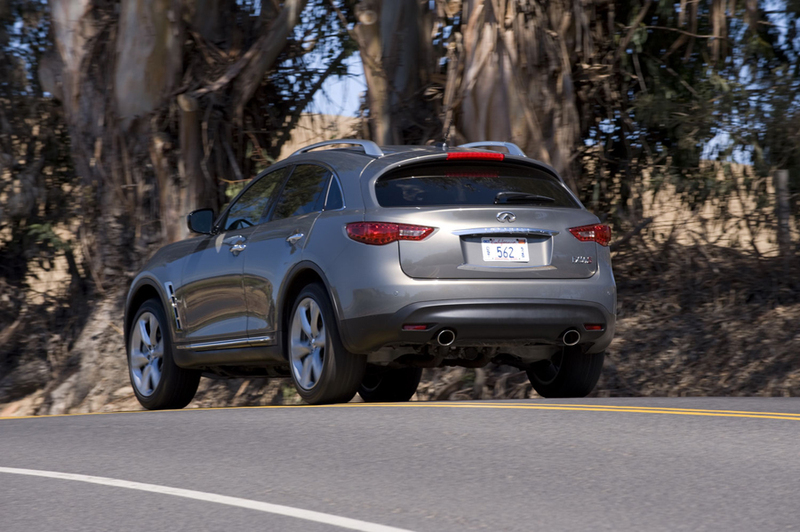 Powerful in 303-hp FX35 guise, the FX50 is sports-car quick with its 390-hp V-8. 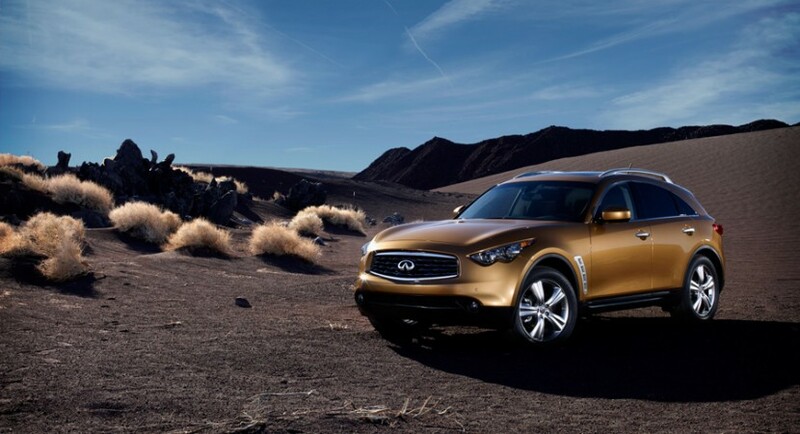 The FX is also coming equipped with Bluetooth Hands-free Phone System, Continuous Damping Control (CDC), Rear Active Steer, Intelligent Brake Assist, Intelligent All-Wheel Drive, double-wishbone front/multi-link rear suspension and large 4-wheel disc brakes, Intelligent Brake Assist. 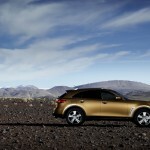 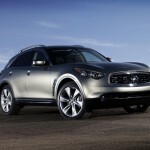 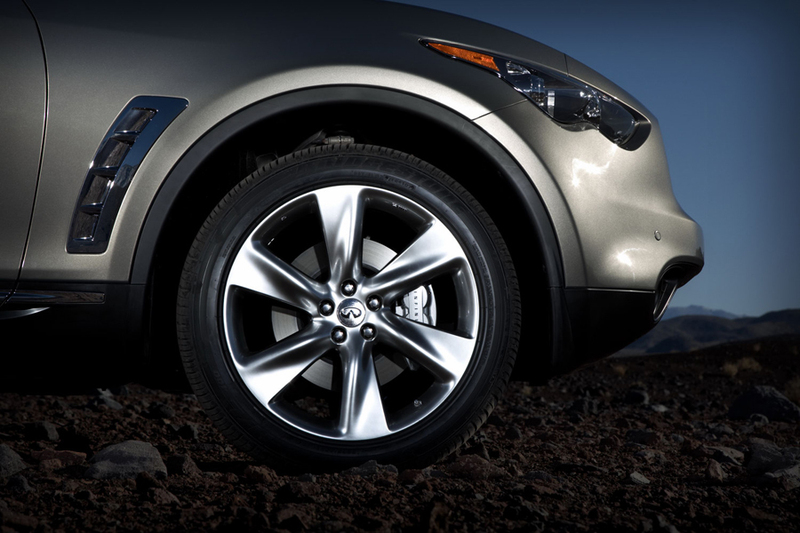 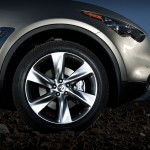 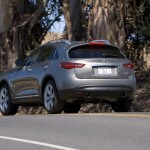 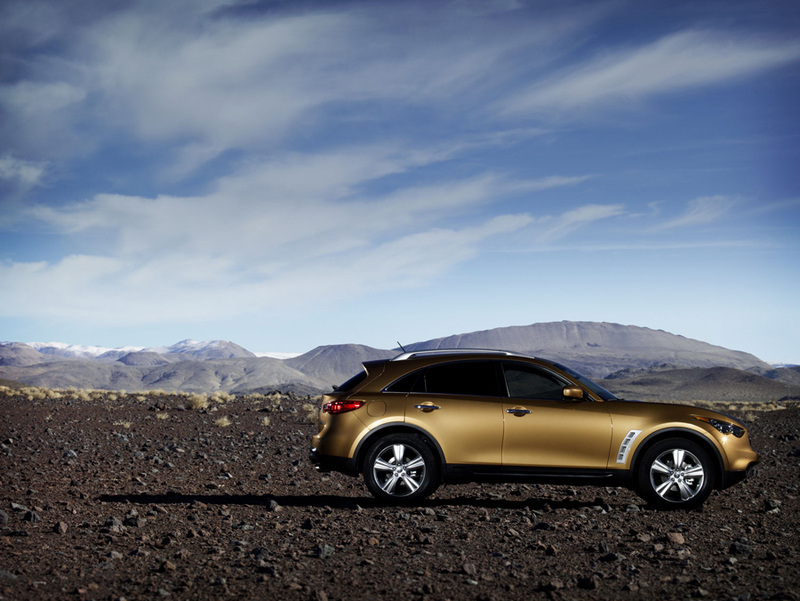 2010 Infiniti FX have 21″ super lightweight aluminum-alloy wheels designed by Enkei. 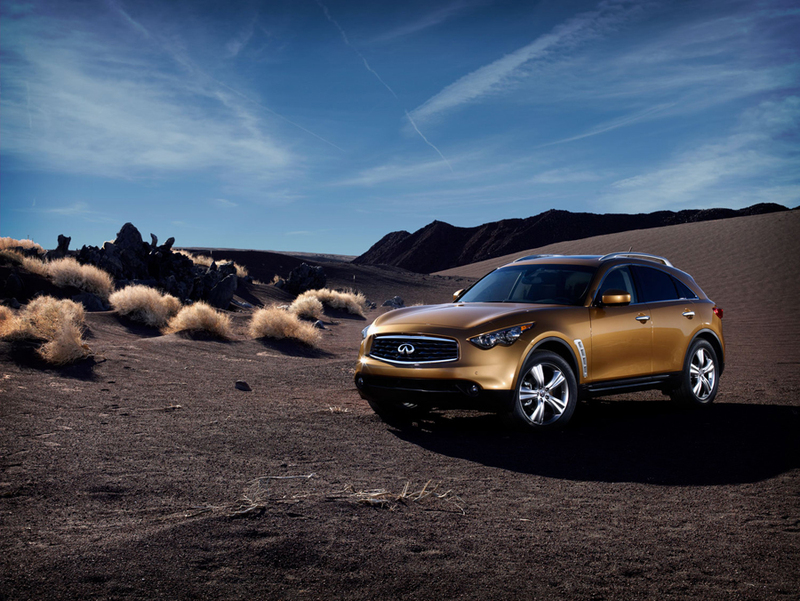 Available sport seating and advanced audio, navigation and technology ranging from an 11-speaker Bose-developed audio system to Infiniti Intelligent Key. 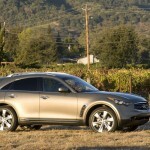 Prices, including an $865 destination and handling fee, are set at $43,265 for the rear-wheel drive FX35, $44,715 for the AWD FX35 and $59,265 for the FX50 AWD.